What’s the upside to a down condo market? It’s not a new trend, we have been hearing about this for a while, the condo market is experiencing a down period. 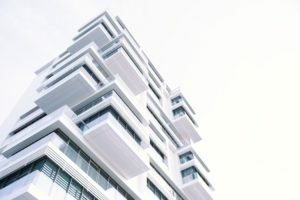 With an influx of new apartment buildings under construction or coming onto the market soon, condo inventory is high in Calgary, which is driving prices down. Not to mention the addition of resale apartments as well. According to statistics released in the 2018 CREB Forecast, the benchmark price for condos dropped four per cent last year, and since 2014, prices are down 12 per cent. Based on the current conditions, it is still going to take a couple years for the condo market to really neutralize. But what is the upside to these down times for apartments? For many people, this is an excellent opportunity, but it depends on your expectations. Yes, condos are priced lower than the historical averages, and of course, that means increased affordability. But before you jump into this investment, consider why you are looking to purchase a condo in the first place. If you are buying strictly for an investment and not to live in, this might not be the best time. Rental markets are still dealing with high vacancies, and as such, rent prices are low. This means you won’t be able to gain as much rental income as you would, say a few years ago. Another thing to consider if you plan to live in the condo is what your long-term goals may be for housing. How long do you plan to live in the condo? If you think you will be selling in a year or two, consider that inventory may still be high and think about what you could realistically get on your return for resale. If you don’t have the answers to these questions yet and you aren’t sure if stepping into the condo market makes sense, don’t worry, this is where a REALTOR® can provide some valuable advice. Please feel free to contact us if you have any questions about real estate or your buying power.